It’s great when things just fall into place. 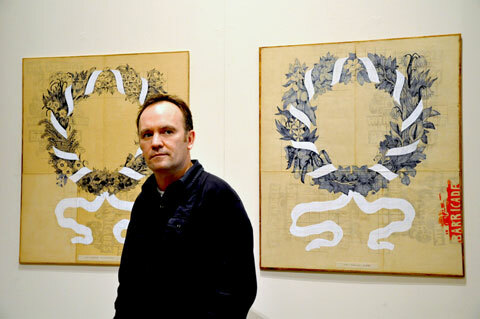 You may recall that as well as a cash prize for the 2010 Liverpool Art Prize the winner was given the opportunity to show at the Walker at a later date. Well the winner was David Jacques and this is his show and it as this is Liverpool: City of Radicals 2011 this fits perfectly with the theme and coincides with the unveiling of his banner on 87-95 Dale Street, just around the corner from here, commemorating Robert Tressell. So, we are delighted to see our Art Prize winner, who was also short-listed for the Northern Art Prize, now in the Walker and it’s a beautiful and interesting show. I love the fictional back-story, the hand drawn lettering and wreaths all based on the traditional trade union banners and artists such as Walter Crane (who was also born in Liverpool). The Irlam House Bequest is a fictional subversive banner workshop “discovered” in an abandoned flat in Irlam House, a tower block in Bootle. 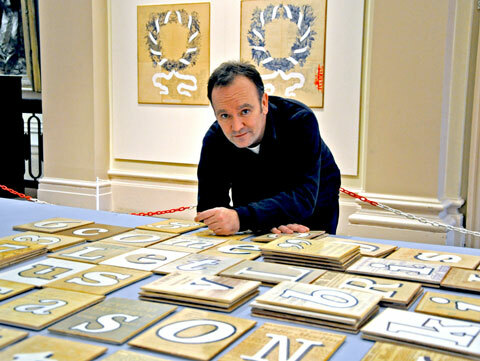 Winner of the Liverpool Art Prize 2010 and nominated for this year’s Northern Art Prize, David Jacques’ installation is inspired by the history of trade union banners and the entrepreneur George Tutil, whose workshop dominated banner production in the nineteenth century. 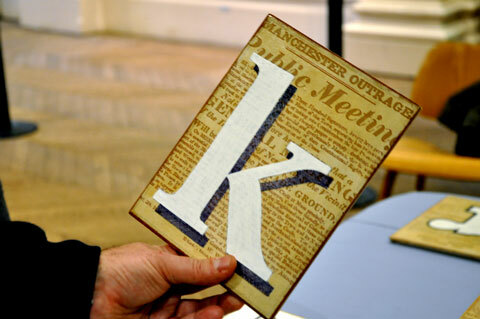 Part of ‘City of Radicals’ a city wide programme of events commemorating the 1911 General Transport Strike in Liverpool.